Who says it is off season in Pondicherry? At Kasha Ki Aasha we think our sultry summer Saturdays are getting better all the time. 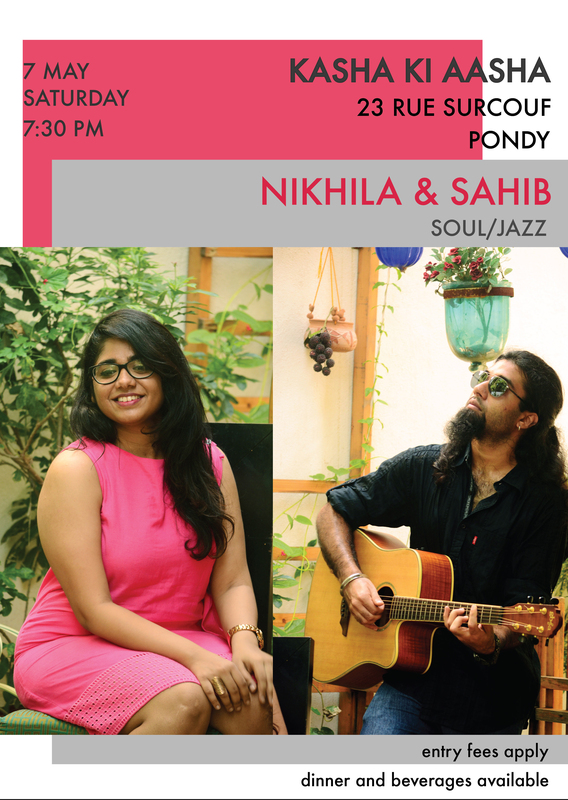 #pondylivemusic continues at 7:30 this Saturday with jazz and soul by Nikhila and Sahib….and yes, there is still a Swarnabhoomi Academy of Music connection!